Home > Image Theory	> Maybe a New Image Hypothesis? Maybe a New Image Hypothesis? Colin Berry never ceases to amaze with Might the Shroud image have been produced as a thermochemical scorch on linen? Quicklime? So this morning, I got to wondering about alternatives to metal templates that have been heated, say, over coals. Might an exothermic reaction using a chemical have been used instead – but a common one available in medieval times? He definitely wants you to look at this blog. You should. Off top. Dan, have you received also my e-mail, about Kornelimünster relics? Can you manage to deal with it, and produce a posting? I see that you are bombarded with several e-mails, and overwhelmed with work. I fully understand that. Nevertheless, if I can voice my opinion, those Kornelimünster relics are more urgent case, then for examle “Anticipating the Conference” postings. But of course you decide -it is your blog. I’ll try to slow down for a few days. Thermochemical is much more plausible image mechanism than scorching. Discussing the many possibilities of image formation on the Shroud with color scientists at Eastman Kodak and on Linkedin who believe that this is man made, many concluded that lensing was a key element for the formation. This means that a source was perpendicular to the Shroud. One way to achieve this would be to add an accelerator (High alkaline substance) by applying the substance using a flue type mechanism. With the accelerator in place, a chemical reaction now can take place, creating a plate type image. The idea might have been used to mass produce cartoons. (Carpets). I’m only the messenger so don’t direct any hate mails at me. However, if Colins would like to investigate further, I would be willing to share any notes I may have if I can find them. As I expect you and others here will gather, this latest posting of mine is little more than blue sky thinking at this stage. It’s being continually added to. Think of it if you like as a work in progress (or as some will inevitably say, regress). Interestingly, I made a reference to “perpendicular geometry” just a few minutes ago and to the intriguing possibility of ‘reverse side imaging’. Giorgio, methinks actually ‘hydrothermochemical’ is the most likely mechanism to account for the TS body image AND haematic decal formation. I can see it now, quicklime explains body disappearance and image trumping de Wesselow. >Quicklime, more formally known as calcium oxide (CaO), is a caustic alkaline substance that is produced by heating limestone in specially designed kilns. There are a wide range of uses for this substance, ranging from mortar to flux, and it has been used by humans for centuries. Many companies produce and sell it, sometimes with specific chemical impurities that make it especially suitable to certain applications. >Humans have been aware of the steps needed to create quicklime for a very long time, and chemists believe that its generation may be one of the oldest chemical reactions known to man. People have certainly been using the material all over the world for thousands of years; in Mesoamerica, for example, people treated corn with it in a process known as nixtamalization, while in India, it was used in a mixture designed to waterproof boats. > Today, quicklime is used in many industrial processes, some of which were developed hundreds of years ago. 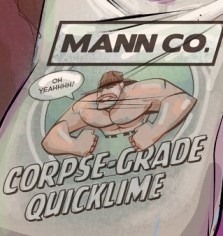 >Quicklime is also known as burnt lime, a reference to its manufacturing process, or simply lime. Is it possible to read your explanations ? Methinks Colin Berry keeps recycling my ideas (use of limestone dust -and Red heifer ashes? – mixed with water to purify Yeshua’s shed innocent blood and kill flesh flies’ larvae and blow-flies’ eggs). You and Colin are on the same page at last! The only difference is you’re working from the assumption that the limestone was circa 1st century while he is is assuming it’s medieval. You do have a slight advantage in that you can provide a practical application of the lime (topical embalming). The medieval theory needs stronger evidence as to how it was that lime (while available) would be used for this purpose. Either way it’s interesting that this can be commonly investigated and should be. Sorry to disillusion you, David, but there is no meeting of minds as you suggest – quite the contrary in fact, as I’ve been keeping quiet for months, indeed years, at the suggestion that limestone dust imparts alkalinity to water. There may be a small rise in pH above alkalinity if dissolved CO2 (carbonic acid) is present to attack and dissolve some of the limestone (CaCO3) to make bicarbonate Ca(HCO3)2, but that’s as far as it goes. Limestone is emphatically NOT an alkali. Today’s sudden rush of blood to the head, i.e. “quicklime” angle, is based NOT on the properties of limestone/calcium carbonate, but upon two entirely different man-made substances derived therefrom, namely calcium oxide and calcium hydroxide. The first of those gives the highly exothermic chemical reaction with water, with the potential for scorching linen. The second IS an alkali that may act in concert to assist the discoloration of linen by heat. Limestone is the precursor substance, for sure, but plays no part in the proposed thermochemical mechanism. Sorry to disappoint. No outbreak of peace just yet, especially while ludicrous accusations of plagiarism are flying around. The TRUE fact is ash (of the Red Heifer) AND lime contain minerals. Mixed in water they do create an alkaline solution. Besides when ammonia is dissolved in water, an alkaline solution IS produced. Is really CB a chemist? Max, you thinks good. I haven’t seen my notes in three years but if I recall correctly, the bacteria found of the Shroud’s reserva might have indicated the location of where the Hydrothermal calcium-carbonate location. Where is the inherent paper ? Wilson AS. 2014. Digitised Diseases: Preserving Precious Remains. British Archaeology 136:36-41. -Schotsmans EM, Denton J, Fletcher JN, Janaway RC, and Wilson AS. 2014a. Short-term effects of hydrated lime and quicklime on the decay of human remains using pig cadavers as human body analogues: Laboratory experiments. Forensic Science International. -Schotsmans EM, Fletcher JN, Denton J, Janaway RC, and Wilson AS. 2014b. Long-term effects of hydrated lime and quicklime on the decay of human remains using pig cadavers as human body analogues: Field experiments. Forensic Science International. -Schotsmans EMJ, Wilson AS, Brettell R, Munshi T, Edwards HGM (accepted 2014) Raman Spectroscopy as a non-destructive screening technique for studying white substances from archaeological and forensic burial contexts, Journal of Raman Spectroscopy. >An alkali chemical also known as calcium oxide or caustic lime. A white powder which burns human skin on contact. Several inches of this powder were sometimes placed in the bottom of cattle cars prior to loading in Jews and other victims of Nazi roundups. It has also traditionally been used in the burial of bodies in open graves, to hide the smell of decomposition. I am skeptic about the effect of calcium oxide on linen (… and bloodstains !). As early as 23 nov. 2012, in this blog I wrote about “(the Shroud) in-soaked with alkaline waters (aqueous solution of Jerusalem limestone/Malky/Melchy dust and/or ashes of the Red heifer + ammonia present in urea of stale heavy sweat) to kill flesh flies’ larvae and blow-flies’ eggs.” I first emitted the hypothesis in 1994! 3/heating source such as corpse in hyperthermia and/or fumigation as a purifying and drying-out ritual. Low temperature alkali gelatinisation of starch residuals present in ancient linen cloth is also a possible factor as printing paste to be taken into account in the Shroud image formation process. Purifying aqueous alkaline solution (e.g. Red Heifer ashes and/or Jerusalem limestone dust mixed with water) bubble and gelatinise at low temperature (55°-85° Celsius) and thus can be used in turn as imprinting paste thin film, mordanting and pre-washing agent). Max, Sorry I never did see your hypothesis. Very plausible. The application of the limestone/Malky dust is the key to the lensing affect. According to skeptics, the application of the (alkaline) substance on a conducive substrate (3 to 1 herringbone cloth) allows halftones to be created. The image can not be continuos tone, thus AM frequencies and screening values. Kohlbeck explained the image was a mercerization process and Dr. Nitowski used ammonia present in urea to create an image with a manikin inside a lime stone tomb. HSG: I’m interested in Nitowski’s work with imaging a manikin. Do you have a reference, preferably URL? Authentic scenario: Alkaline reaction produces body image. Problem – difficult to explain orthogonal image if body tightly wrapped. I find Max’s explanation of linen stretching and shrinking to produce orthogonality too unlikely for me, there’s no image of sides. It might be approximated if sides of body packed with herbs, spices etc. A loose draping might also do it. Non-authentic scenario, i.e. Byzantine or medieval: Lensing might explain orthogonality. Crucifixion ceased as execution procedure under Constantine 4th century. Requires a later crucifixion victim matching gospel accounts of punishment (scourging, crown of thorns, lance wound), and with features similar to Christ iconography. also other imaging problems e.g. rounded buttocks might imply body was vertical at time of imaging. Byzantine records seem fairly definite that burial shroud was part of imperial relic collection from about 10th century. Jerusalem geology well known for its presence of limestone, also sampled by Nitowski and sent to Kohlbeck in USA for comparison with STURP samples. Shroud image shows traces of limestone on knee and nose, also elsewhere – STURP. I may be wrong, daveb, but suspect that you and some others here are confusing quicklime (calcium oxide) with limestone (calcium carbonate). Notwithstanding the fact that quicklime is made by calcining limestone, and has been for centuries, possibly millennia, that’s where the resemblance ends. The two have entirely different chemical properties. The focus of my posting is quicklime (a vicious substance that has to be handled with great care), one that gives a highly exothermic reaction with water, including I propose migrating body moisture from a linen-enclosed corpse on a bed of quicklime, and which on contact might generate enough heat to produce a thermal imprint on the fabric. Limestone if you’ll forgive my saying is irrelevant, at least in my chosen thermochemical context. Slaked lime (calcium hydroxide), the end product of reaction between quicklime and water, may have a supporting role to play, by virtue of its alkaline properties, an adjunct that may speed carbohydrate pyrolysis. Limestone however is not an alkali – being insoluble in water (ignoring the additional chemistry that comes into play when CO2 is present). Please see my now completed posting for details. Thanks for reminder Colin; I appreciate the distinction, something about CaO -> Ca(OH)2 in basic Chemistry and also Engineering Materials classes, whereas ground limestone goes regularly into my garden compost bin. Vicious stuff, CaO wouldn’t be kind to a dead body, and I wonder how gruesome any final image might look. Suggest try it with a dead cat first as a prelim. Could end up a disgusting mess. Now ground limestone, you just might get a credible image with the right admixtures, myrrh, aloes, saponaria, anyone? DaveB: again, please read my posting. There is no direct contact between corpse and quicklime. It is migrating moisture, penetrating the thickness of the linen, that meets the quicklime on the opposite, non-body side. The thermochemical reaction in your equation, quicklime plus water makes slaked lime + heat, then takes place producing a reverse-side scorch. There can be no thermochemical reaction without the quicklime. I believe I am proposing an entirely new chemical scenario for image production, as Dan has correctly grasped in his choice of title. Repeat: limestone is an irrelevance, and dare I say needless distraction. It is the enormous heat (“enthalpy”) of reaction between calcium oxide and water that is what makes scorching possible from the moisture exiting a dead but nevertheless real body in place of the heated metal effigy in the conventional scorch hypothesis. There are 3 link pages to see. This might be on the Simon Brown site as well. daveb, Here are some PDF files that maybe of interest to you and to others. Limestone mixed (with ashes?) and water + ammonia is relevant in my chosen 1st c. CE hydrothermochemical context. PS to daveB: I have just this minute added a crude graphic to my posting that I hope will make clear that direct contact between corpse and quicklime is NOT being proposed. The two are separated by the linen shroud, and it’s the wicking of moisture across the linen to react with quicklime on the opposite, non-body side, generating localised heat and strong alkali (calcium hydroxide) that sets the scene for thermochemical image-imprinting. There’s no limestone i.e plain old calcium carbonate, in this scenario note. Read your posting, saw the video, all quite clear. You’re going to have to do some experiments, and probably several reruns before you strike any gold. Obvious questions arise: 1) Image is said to be superficial, maybe resident only on impurities layer; Can such an imaging process be so superficial? Or will it penetrate the fibres (flax medullas on TS not affected by process!) 2) Do we know whether or not there’ll be an alkali corrosive effect on the CaO side of the linen 3) What would be the signature residues of CaO on the backside of the linen, any? No one’s noticed any such residue signature so far. 4) Process will necessary take some finite time, so perhaps a heat process would affect subject and its appearance with consequent distorted image on cloth, but no such distortion appears on TSM (no “corruption” evident). 5) Maybe it’s not a scorch but something else, so that you could still be on to something. 6) It might not be quicklime, but it could still be alkali from body products or even Max’s red-heifer ash. 7) You’re looking for lots of heat, but if only impurities layer is affected, maybe you don’t need the same heat as is necessary to scorch linen (image is said to be resident only on crowns of fibres) . I recall someone’s ribald comment a year or two back, that you’ll end up proving the Resurrection! You still have to end up with an image that looks like crucified Jesus, complete with crucifixion marks, scourge marks, bleeding head, and lanced chest wound. Don’t think they did that sort of thing in medieval times, more into hanging, drawing and quartering! Look forward to seeing pictures of your chicken legs! Hope the family cat survives! Christians were crucified during the siege of Constantinople 717-718 by muslims. It´s not impossible that the same type of execution took place during the crusader era in Jerusalem? And maybe some were perfected into greater correspondence with the Gospel account? I’ll need time to deliberate and respond to daveB’s points. However, I’d just mention a “problem” with the quicklime model occasioned by your comment, Henrik – namely that it puts the image on the opposite side of the linen from any bloodstains! You see, we’re told the bloodstains are underneath the image, which would be difficult to forge (agreed). But suppose an unbloodied corpse had been placed inside a shroud, and bloodstains then painted on the OUTSIDE in all the (approximately) correct locations, followed later by image imprinting also on the outside i.e. by thermochemical action between migrating body moisture and quicklime. The end-result would then, surprise, surprise, be a “correct” blood-first-image second scenario, but one achieved with relative ease. Hmmm. Interesting. Thanks. Possible problem: As far as is known there’s no image under blood-stains, wherever any bloodstain has been removed on test fibres. Implies that blood-stains were there first. Forger would have to carefully remove any image wherever he needed to place a blood-stain. Rogers could only remove image with dimide, which left intact fibre underneath and unaffected. Not looking so good. Muslims believe that Jesus was taken up to heaven and will return at the end of time to judge the world, appearing near a mosque in Damascus. They also believe that Simon of Cyrene was crucified in his place. To produce an image of a crucified man, “perfected into greater correspondence with the Gospel account” would make no sense to them. Thanks daveb. I shan’t try to respond to all your several valid questions right now, for the reasons you allude to – namely the lack as yet of any kind of experimental confirmation. I’ve just this minute placed an order with Amazon for 1kg of powdered quicklime, which is supposed to arrive mid week. I’ll be doing small-scale experiments initially with chicken drumsticks (or maybe your “pinkies” from the local pet shop) and scraps of left-over linen. Looking again at Shroud Scope images, their fuzziness and (I think) limited 3D-enhancibility, I’m modestly optimistic of developing some ‘authentic-looking’ (?) thermochemical imprints in what admittedly is an off-the-wall change of direction. Embalming oils as a source for heat? Maybe we should wait 2 years, and over 200 postings. Calcium oxide (mol.wt.= 56.08) disintegrate on contact with water in a strongly exothermal reaction (near 1140 kJ/kg CaO). Mol.wt. of Calcium hydroxide = 74.10, solubility in water 1.85 g/L at 0 Celsius degr. and pH=12.7 at 1.8 g/L. Calcium oxide reacts with water on the external surfaces of the body and is converted to Ca(OH)2 , which liberates OH ions. Where are the CaO-treated linen samples (from the inherent experiments) to control ? What is your idea about the measurement of heat transfer (…detailed controls required) ? Have you tried to perform an interesting experiment ? My first experiment will be very simple, Piero. I’ll place a 1cm depth of CaO in a shallow plastic tray, then place a square of linen on top, then drip water onto the linen.There will be a temperature probe (meat thermometer!) under the linen to monitor the reaction between water and CaO. I’m hoping that sufficient heat will be generated to scorch the underside of the linen. We shall see. First, the CaO has to be delivered (expected between Thursday and Monday). Any pre-existing bloodstains would be cooked, needless to say, with red haemoglobin turning into brown methaemoglobin. Rogers said that the TS blood showed no signs of being heated, but I’ve previously expressed deep misgivings about his ad hoc methodology based on presence of hydroxyproline in his mass spectrometry. I’ll spare you the details: suffice it to say I do not regard HP as a marker for blood (it’s more generally regarded as a marker for collagen and other connective tissue, and thus not necessarily of human origin.). PS: Did you know that the English navy in the reign of King Henry III (13th century) beat off an attack from the French navy by blinding their sailors with finely ground quicklime (CaO) ensuring of course that the wind was in the right direction. So quicklime was around at the time of Lirey – but also the 1st century (needed to make Roman cement) so establishing a lin(k with that substance and its properties does not in itself tell us anything about authenticity. But it might explain the fuzzy and superficial scorch-like image. Is one of your own fingers the temperature probe (= “meat thermometer”)? (Price = US $995.00 …). What are the “scraps of left-over linen”? IMO You have to use the proper linen materials. (in my home) I have not found that text! (see also: the four points by Yannick Clément…). You really believe that the imprint on the Shroud is that of Jacques de Molay? All of us know that the disparition of the Ark seems to be a strange biblical enigma. not yet able to decipher (using another enigma…). I tried to think about the use of the Ark in order to obtain an imprint. But (despite the interesting claims – and inherent experiments – by prof.
What is your opinion about the effect of electrical discharges on bloodstains? Well, you raise a number of interesting points there – all deserving of a response, but too many to deal with in a single comment. You’ve given me something to do while I wait for the calcium oxide to arrive – another ‘pot-boiler’ posting on my science buzz site. I’ll let you know when it’s done, here on this thread. By the way: I did consider using my own finger as a bio-thermometer – wrapping it in glove finger fabricated from linen, and dipping into quicklime, but thought better of it. Masochism is not really my thing. However, my kitchen lab comes supplied with a meat thermometer – the kind one pokes into one’s roasting chicken or beef to see if the centre is hot enough to be properly cooked. It’s calibrated between 60 and 87 degrees C – not as high as one would like, but OK for starters. Addictive, wouldn’t you say, this Shroudology? IR thermometers capture the invisible infrared energy naturally emitted from all objects. In some products, one or two lasers are available to help indicate the area being measured. Sometimes these lasers indicate the center of the area being measured and sometimes the edge. They can also change position depending upon distance. Are obtainable images of teeth and bone structures associated with the face? What could really be achieved with quicklime ? I hope to see (soon) the results of the experiments… ! Here’s the problem with de Wesselow’s theory — and other theories that propose that the Shroud (being an accidental image) inspired the birth of Christianity — it overstates the impact of the relic. As Yannick and others have repeatedly pointed out the Shroud depicts the dead body of Jesus — not a resurrected one. If I’m Peter or John and I see the Shroud I’d certainly believe that it was a sign that Jesus was special. But would it alone be enough for all 11 of them, and the women, to do a 180 degree in their beliefs? Would it have inspired a deep belief in resurrection into new glorified bodies? If the Shroud is the model, then why in the ‘stories’ of encounters with the risen Jesus is He not recognizable at first sight? Where did this idea come from that Jesus looked differently? He certainly looks like himself on the Shroud, no? Would seeing the Shroud alone have been enough to change Saul into Paul? If the early Christ-follower community’s raison d’etre relied solely on the Shroud as their proof of resurrection than the Shroud would have played a much greater part in the story. We wouldn’t be searching the scriptures and apocryphal texts for hints of the Shroud. It would have been spoken of clearly, even if the relic itself needed to be hidden. Do we imagine that there were no skeptics among the disciples? That faced with the Shroud no one would have claimed (as we do today) “that’s a drawing, a painting, a work of art — it’s not real!”. Certainly our modern sensibilities are not identical to those of the 1st century. But we are not so different than those men and women. The Shroud today, while compelling, has not transformed the world — moved masses of people to great acts of piety and faith. It’s inspired no martyrs (to my knowledge). I doubt it would have done so 2000 years ago either. It has always been a sign, not a proof. Sorry. First of all : the errata corrige! The term condenser is an older word for what we now know as a capacitor, or an electrical machine capable of storing energy. Tesla thought that the Ark generated static electricity by causing air to rub against curtains. This created static electricity which was then stored inside the Ark, turning the box into a giant Leyden Jar. >… after his escape from Egypt, Moses ordered the construction of the Ark of the Covenant to house the tablets of stone on which were written the original “Ten Commandments”. Its construction is described in great detail in the book of Exodus and according to the Bible and Jewish legend it was endowed with miraculous powers including emitting sparks and fire and striking dead Aaron’s sons and others who touched it. It was basically a wooden box of acacia wood lined with gold and also overlaid on the outside with gold. The lid was decorated with two “cherubim” with outstretched wings. In 1915 Nikola Tesla, in an essay entitled “The Fairy Tale of Electricity” promoting the appreciation of electrical developments, proposed what seemed a plausible explanation for some of the magical powers of the Ark. He claimed that the gold sheaths separated by the dry acacia wood effectively formed a large capacitor on which a static electrical charge could be built up by friction from the curtains around the Ark and this accounted for the sparks and the electrocution of Aaron’s sons. >Recent calculations have shown however that the capacitance of the box would be in the order of 200 pico farads and such a capacitor would need to be charged to 100,000 volts to store even 1 joule of electrical energy, not nearly enough to cause electrocution. It seems Tesla’s explanation was appropriately named. Was the Ark of the Covenant a mysterious biblical piece of ancient technology ? What was the level of electrical knowledge in ancient times? new technology to explore the ancient Greek Antikythera wreck in the Agean Sea, using an exosuit developed by Nuytco Research. I can only make a statement about the inability to set up scientific experiments (with adequate funding …) about the Shroud (= AFM [and Raman] controls on cellulosic chains, three-point bending test on linen fibrils, etc.). … And we are not yet able to built a decent simulation of “Ancient technology” for the Shroud. Initial findings were as expected with the quicklime. But there was at least one curious and unexpected feature (to say nothing of an unforeseen meltdown with a polythene reaction container!). I shall endeavour to respond to your earlier points in my next posting (maybe the next day or two).